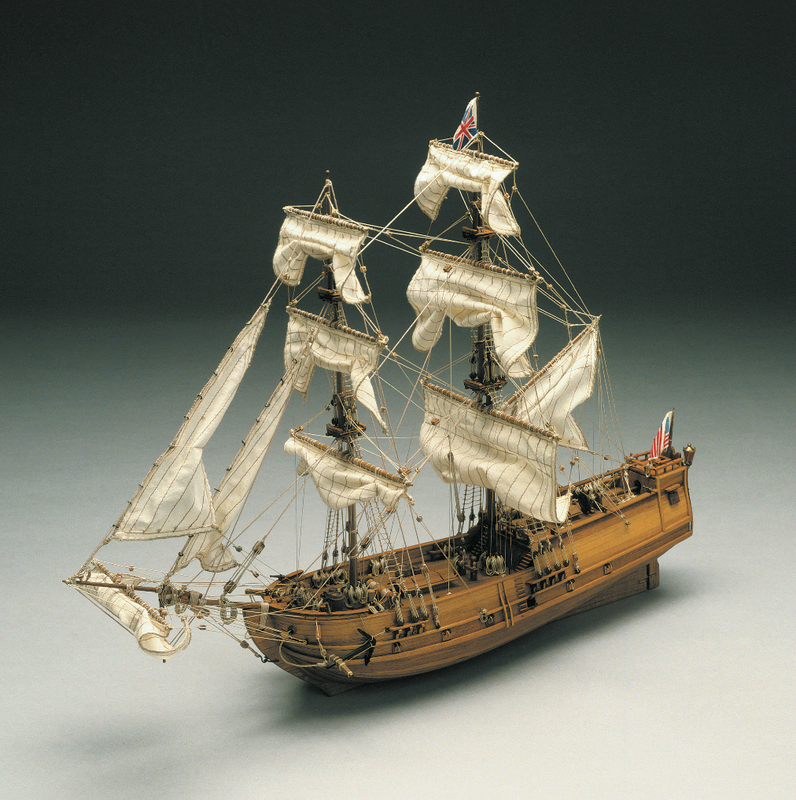 Scale model of an English Brigantine, popular in the 17th. and 18th. centuries. A brig is a vessel with two masts square rigged like a ship's foremast and mainmast, but carrying also on her mainmast a fore and aft gaff-and-boom mainsail. In wide use in the merchant marine during the 17th and 18th centuries, the brig was introduced into English navel service from the 1770's. The kit is not too complicated and would suit the patient beginner to the fascinating hobby of model ship building. The kit features the following: A plank on frame hull construction, building plans with general details English instructions, lost wax brass castings walnut and lime planking, wooden masts and spars, brass and walnut fittings, etched details, rigging cord, silk flag printed sails. All sheet ply sections are laser cut for accuracy.